What I learned about sharing Jesus from selling ads. I spent several years in vocational ministry. One of my jobs was selling advertising for a phone book. The one thing I was really good at was selling new business. 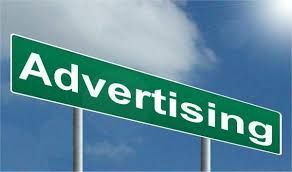 I would often be asked to help coach others on our sales team in how to obtain new advertisers. And while I do not believe that sharing Jesus is a matter of learning effective sales techniques, I do think there are some valuable lessons to be learned. When asked the secret to my success in sales, I always gave credit to God. I prayed over my accounts, and I asked God to bless my business. So I gave Him the credit when He answered. Winning souls starts with prayer. Ask God to put someone in your life that needs Jesus. God uses the Holy Spirit to connect seekers and believers. So give him the glory when he does that in your life. I did learn that successful selling is a numbers game. I talked to lots of non-advertisers. I worked really hard at it. I did not pre-qualify leads by deciding who would — or would not — buy even before I talked to them. Of course, I had a lot of calls that did not go well and a lot of businesses that said no. But I noticed the more businesses I talked to, the more I sold. I thought my product would sell itself. I believed in it, and I had lots of successful ad stories I could share. It is the same when you talk about Jesus. We do not have to sell anyone on Jesus. I absolutely believe He is the way, the truth, and the life. He has proven his value in my life and in the lives of countless others in my community of faith. Making a living selling ads is not really a big deal. It was a living, not life. But talking to people about Jesus is a big deal. He is life — for me and for those I talk to about Him. So remember to ask God to bless your life with opportunities to talk about Jesus. Expect everyone to be interested and do not get discouraged if they do not. I believe in what I am giving away for free. This material comes from a seminar called "Followers Making Followers" that is available through Hope For Life, a Herald of Truth ministry. For more information, visit www.heraldoftruth.org/seminars. "Sharing Jesus Is not Like Selling Ads, but Still..." by Steve Ridgell is licensed under a Creative Commons License. Heartlight encourages you to share this material with others in church bulletins, personal emails, and other non-commercial uses. Please see our Usage Guidelines for more information.